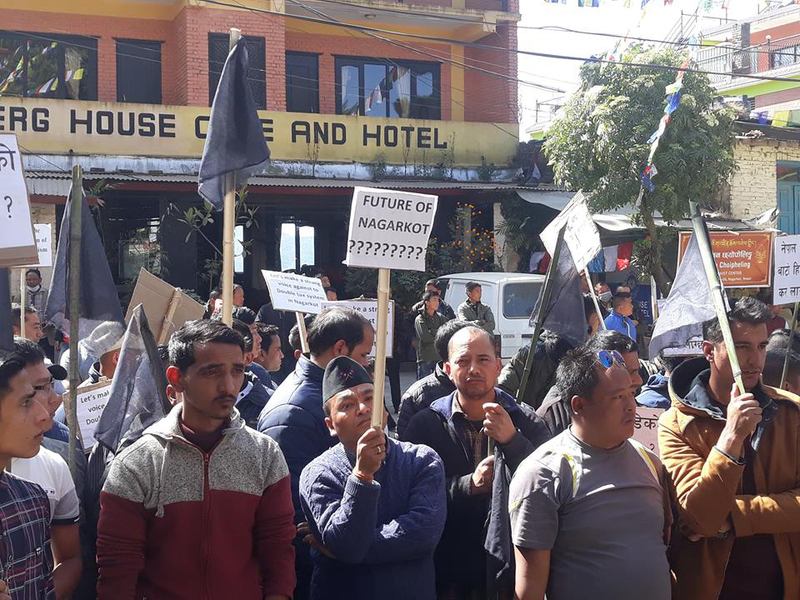 BHAKTAPUR, Nov 15: The locals of Nagarkot have initiated “Save Nagarkot Campaign” to protest against the local government's decision to impose dual taxes on tourists visiting a single destination. The locals assembled together to stage protest against the imposition of the taxes which could hamper tourism in the hill station. Changunarayan Municipality in Bhaktapur recently began collecting entrance fees from tourists. At the same time, Mandandeupur Municipality in Kavrepalanchok also started collecting entrance fees from visitors. Nagarkot, which lies in the border of Bhaktapur and Kavrepalanchok, has had to bear the burden of double taxation from the two municipalities. A memorandum has already been submitted to Som Mishra, mayor of Changunarayan Municipality, requesting for a withdrawal of the entrance fees. It was also forwarded to Mandandeupur Municipality, Nepal Tourism Board, Chief Minister's Office Hetauda, Ministry of Federal Affairs and General Administration, Ministry of Culture Tourism and Civil Aviation, and other concerned bodies. Changunarayan Municipality had started collecting entrance fee in the fiscal year 2074-75. This is against the law as the local governments have no authority to impose such fees without formulation of laws by the provincial government. The provincial government has made no provisions of collecting fee for tourists so far. Visitors are often charged multiple times by various local bodies while travelling to a single destination. Locals state that this has hampered Nagarkot's tourism industry as more and more travelers are discouraged to visit because of the hefty fines charged again and again. As part of the “Save Nagarkot Campaign”, a peaceful sit-in is being staged in Maitighar on Thursday. 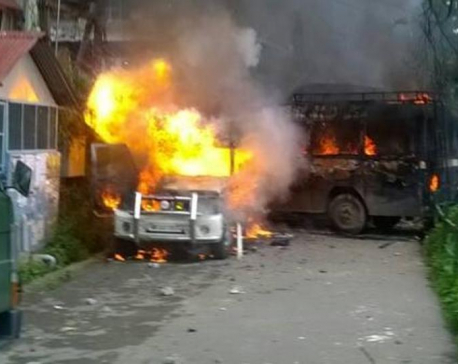 Locals are to assemble in Nagarkot Chowk at 9am on Thursday and then take public transportation to Maitighar.